I still don't get the iPad. Not the technology itself: it's just a bigger iPod Touch (and neat at that). No, it was the recent hype about the iPad that I didn't get. Don't get me wrong, I'm a big fan of Apple (I'm writing this on an iMac) - but not a 'fanatical' fan. I'm using Firefox as my browser (Safari is too restrictive), and I'm using Google's blogger to write this post. I suspect most people in the Apple camp like myself have a foot (or at least a toe or two) in a few other camps as well. Undoubtedly the iPad will find a niche or two to exploit (Tyler Cowen thinks it'll finally make the eBook happen in our schools - which I for one would welcome). It might even bring about the paperless office: not by replacing paper but by accelerating the decline of the office as a place to work. ... the iPad is a lot like Barack Obama: Everyone was able to project their own fantasies and aspirations on a product with which they were mostly unfamiliar, only to sour on it once they realized that it did not live up to their impossible expectations. Only with the iPad it took about seven minutes for the disappointment to set in. Yes, the digital joyride has come to an end. The faith in smart technology, collective knowledge, and data-driven human reasoning has suffered severe blows of late. Neither did social technology unleash the revolutionary potential of the Iranian people after the election, nor did sophisticated financial instruments prevent the financial crisis or the Copenhagen Summit yield a meaningful solution for combating the climate crisis. Wikipedia has not made us wiser; conflicts remain unresolved; ignorance prevails – in spite of the social capital accumulated on social networks, time and place-shifting transnational hyper-connectivity, and design thinking. 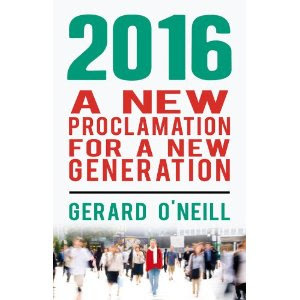 An 'Age of Grand Disillusion' is upon us. But I think he goes too far: technology - even delightful, smooth, glossy, Apple touch technology - is just a tool. And we are still only learning to work with the tools Apple and others have given us in recent years. So it's too early to tell. But it's too soon to give up hope just yet. I don't mean this in a bad way, of course! Societal concerns aside... I just hope that as technology further innovates, the possibility of downloading our memories onto a digital medium becomes a true reality. It's a fantasy that I dream about every once in a while.